Having a look on the place, if we call it a wood pallet land this won’t be wrong at all because we can see the shipping wood pallet being used in various things all around the place. Like first of all the whole space is enclosed with wood pallet made fence that is pretty just like a wall. Then we come across an ultra long wooden pallet couch that is stretched beyond the conventional measurements. 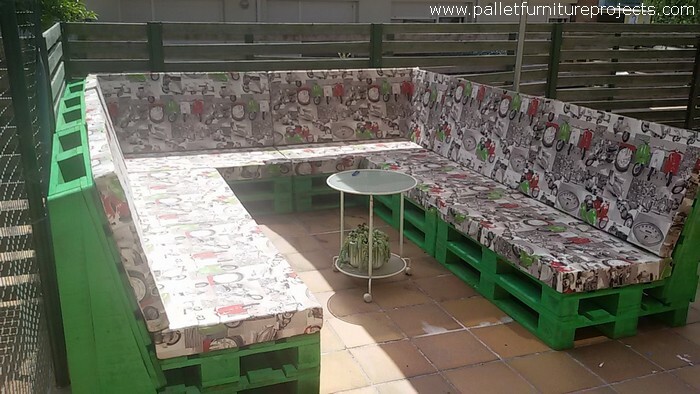 This U shaped wood pallet couch has literally covered the entire space with its lengths and dimensions. All is made again using the pure wood pallet. 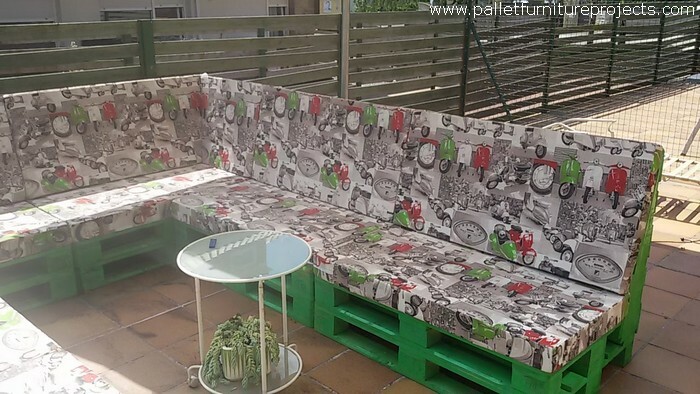 From this angle we can have a look on the decent back of the wood pallet couch. 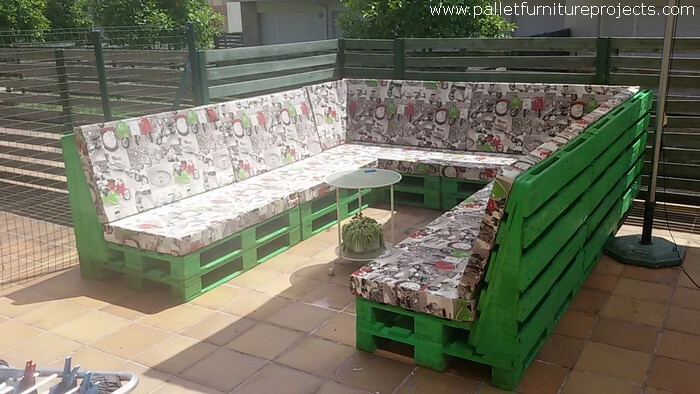 From this view we can ensure that the finest shipping pallets are used in making this luxurious wood pallet couch. Mostly the shipping pallets are free of marks and scars. And from this view we are having a better frontal look which gives us a detailed look inside the structure of the wood pallet repurposed couch. We haven’t resorted to more complex patterns and we have kept it pretty straight and simple because this was meant to be an ultra large wood pallet couch so we just avoided the complexities. On the end we should also admire the couch covers that are having floral print all around. 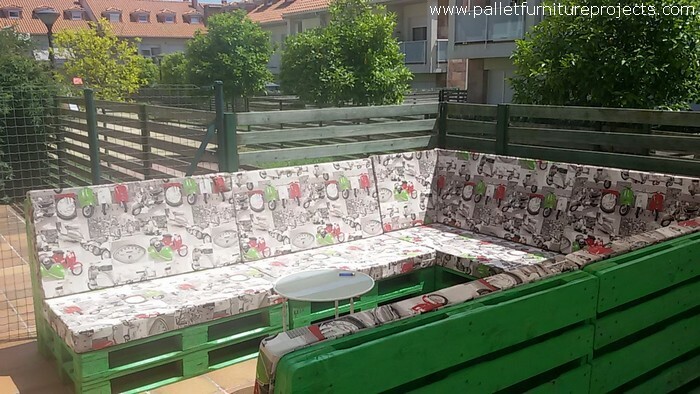 This gives a livelier look of the pallet wooden upcycled couch. I think if you have made this one for your patio, you are no more in need of any additional wooden furniture item. This is going to cover whole of your space. Just imagine what if you had to cover it with market based furniture items, your finances would be in shambles simply. Just show some gratitude to this cheap material that we use fearlessly.